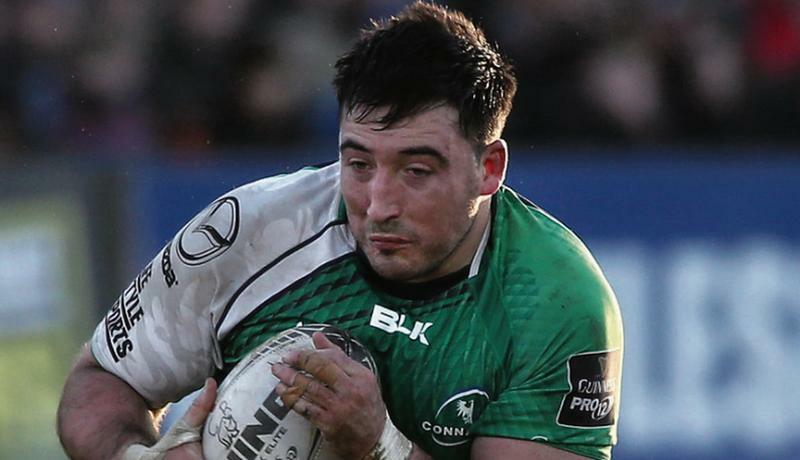 Connacht prop Denis Buckley who has recovered in time to face the Cardiff Blues at the Sportsground on Friday night. AFTER a six week furlough, The Sportsground will see Connacht return to action for the first time since their historic Champions Cup victory over Toulouse when they take on the Cardiff Blues this Friday (7.35pm). Since defeating the four time European Champions, it’s been an undoubtedly frustrating period for a Connacht side that last season captured the imagination of the entire rugby world with their incredible underdog success story. Despite comprehensively defeating Zebre, Pat Lam’s side have since suffered disappointing successive Pro12 defeats to Leinster and Newport Gwent Dragons in recent weeks. Lam to be fair has had some serious selection headaches throughout this period. Not only did he have to contend with a host of injuries, but also the Autumn International series which depleted his squad even further, with Finlay Bealham, Ultan Dillane, Kieran Marmion, Tiernan O’Halloran and Niyi Adeolokun all seeing some action with the Irish team and unavailable for selection. The Irish squad for this Saturday’s international test match against Australia will be finalised on Thursday and given the late nature of the announcement, it is highly unlikely that the Connacht international players will be available for anything more than substitute roles for this Friday’s game. The injured Ivan Soroka (foot), Andrew Browne (ankle), Rory Moloney (concussion), Eoghan Masterson (knee), Shane O’Leary (concussion), Eoin Griffin (chest), Josh Rowland (ankle), Darragh Leader (hand) all remain absent. But the squad is bolstered by the returns of Tom McCartney, Ronan Loughney, Sean O’Brien, Nepia Fox-Matamua, John Cooney, Matt Healy and Denis Buckley. Roscommon native, Buckley, now in his seventh year with the province and who will win his 100 cap for the province if selected, provides a much welcome return to action for the province. Buckley has matured into one of the side’s most experienced players but achieving this milestone was something he thought was “unrealistic” when he began. “I hope it happens this weekend for me and if it does it would be something I would be extremely proud of. To represent my province and where I’m from 100 times, it’s a big achievement,” said the prop forward.